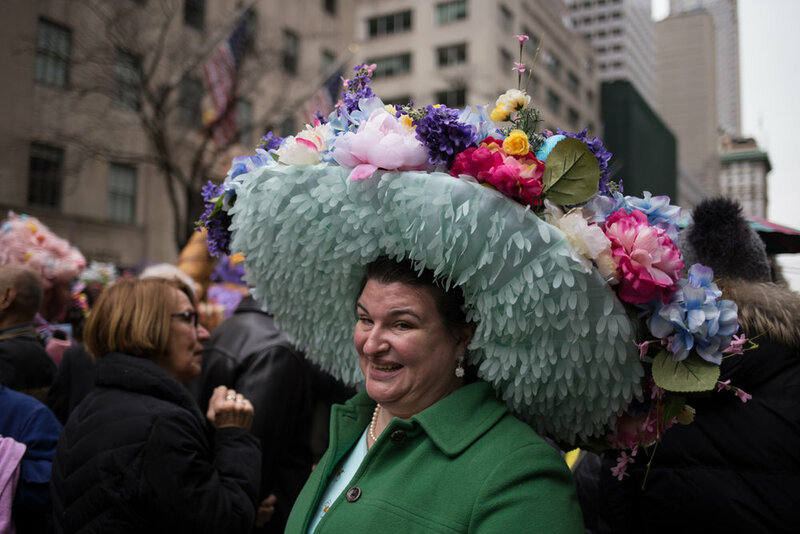 The Easter Parade began in the early 1870s as a stroll in Central Park—dressed in their Easter best, people gathered to show off their bonnets and hats. 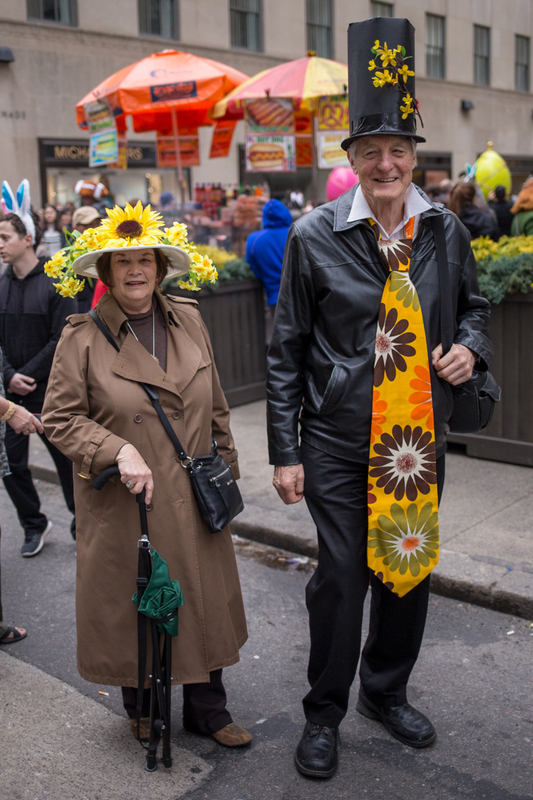 By 1879 the event moved to Fifth Avenue and inspired the Judy Garland and Fred Astaire musical, Easter Parade. 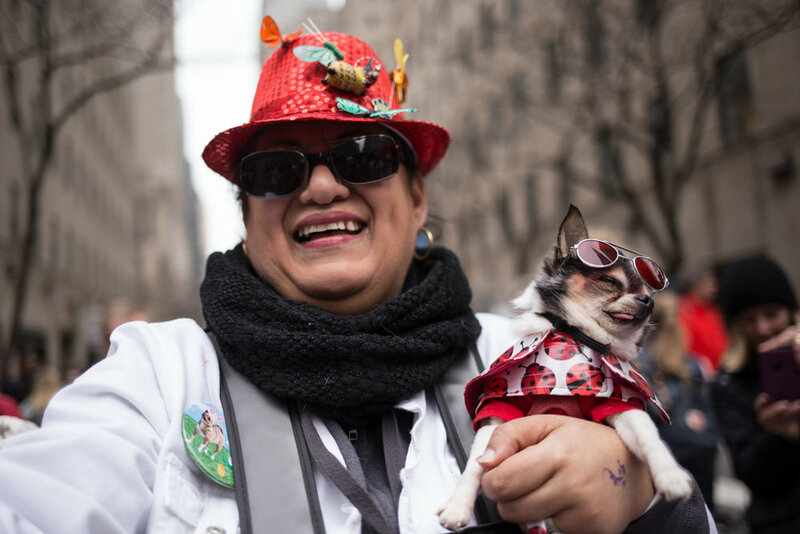 The "parade" is not a parade in the traditional sense—participants and onlookers gather along Fifth Avenue outside of St. Patrick's Cathedral and it's a bit chaotic. 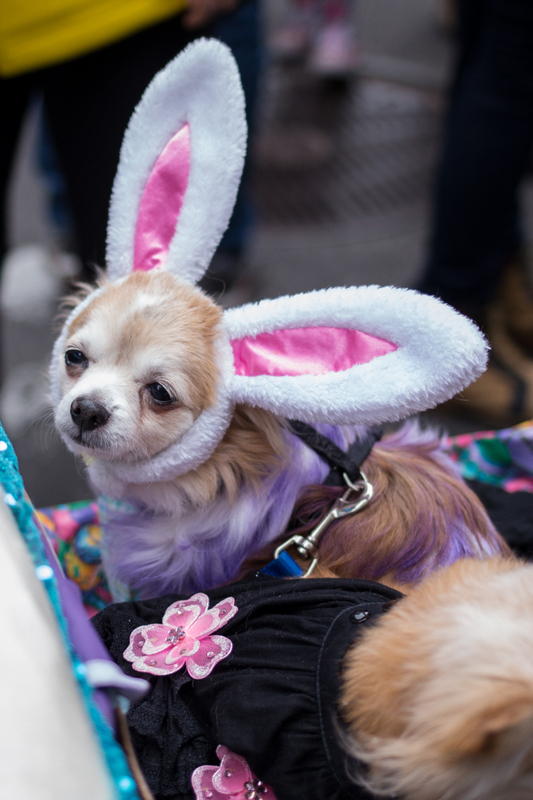 This lack of structure allows you to view the creations (and most importantly, dogs!) 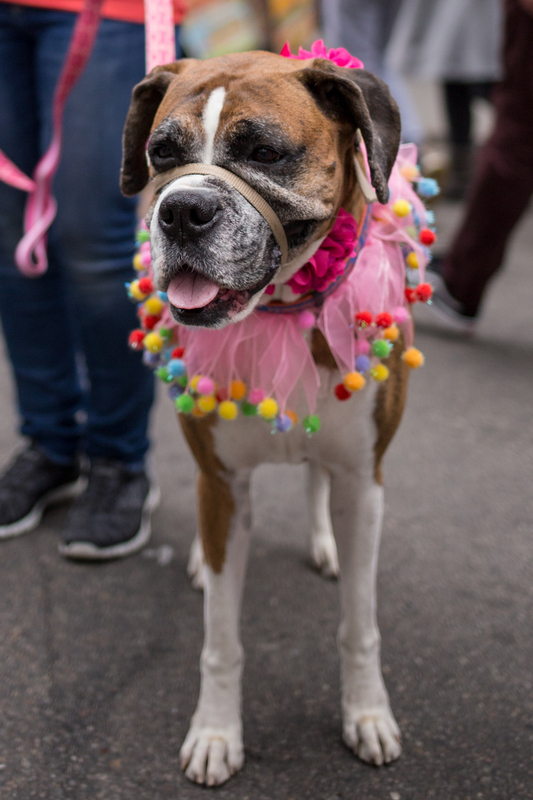 up close, but people can get a bit pushy. 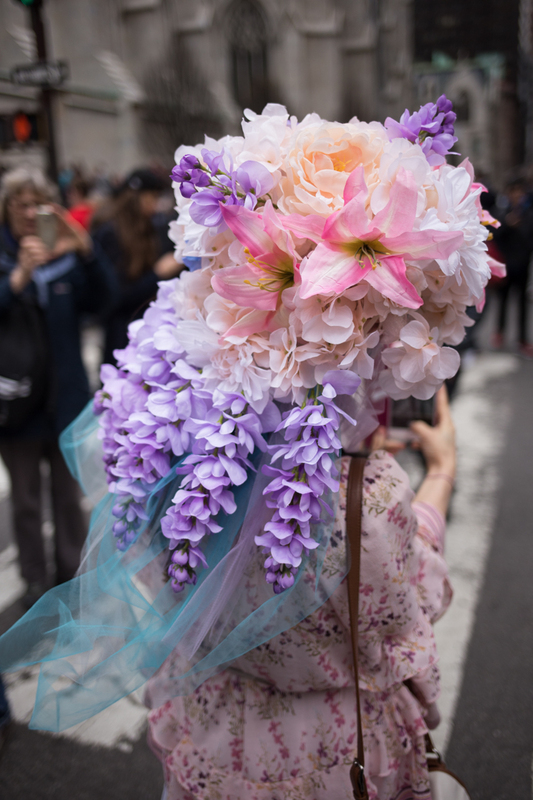 There are usually more people taking photos than people dressed in elaborate bonnets, but I'm wowed every year by the creativity on display. 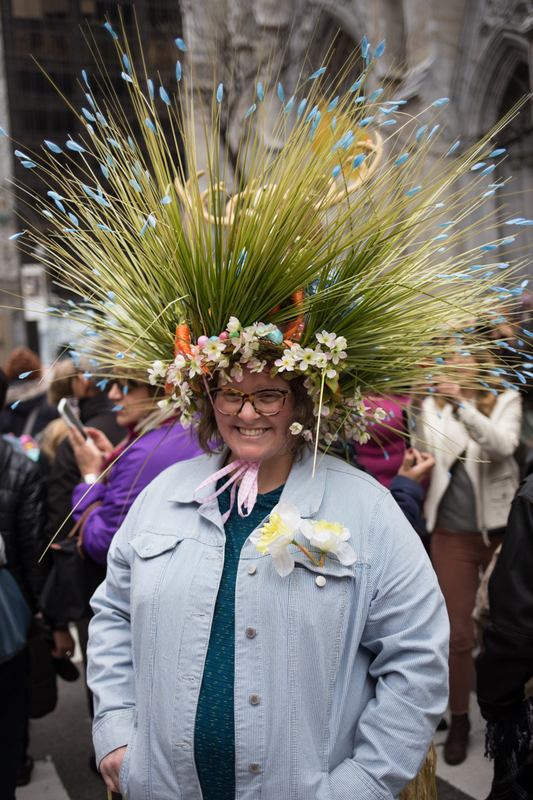 This is my third Easter Parade (see photos from past parades here, here, here and here), and it's one of my very favorite New York events (second only to the Mermaid Parade). 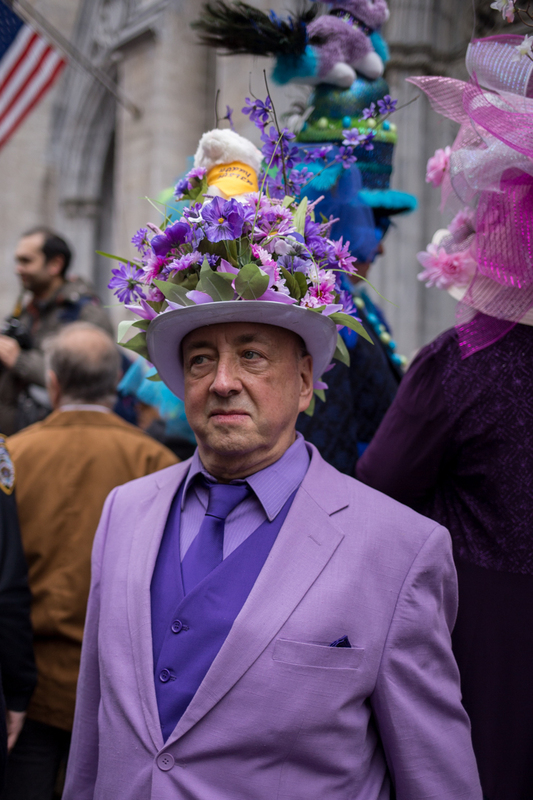 I'm not religious and Easter was never a huge holiday in my family (last year we went to the Cathedral Buffet just for their bizarre dioramas). 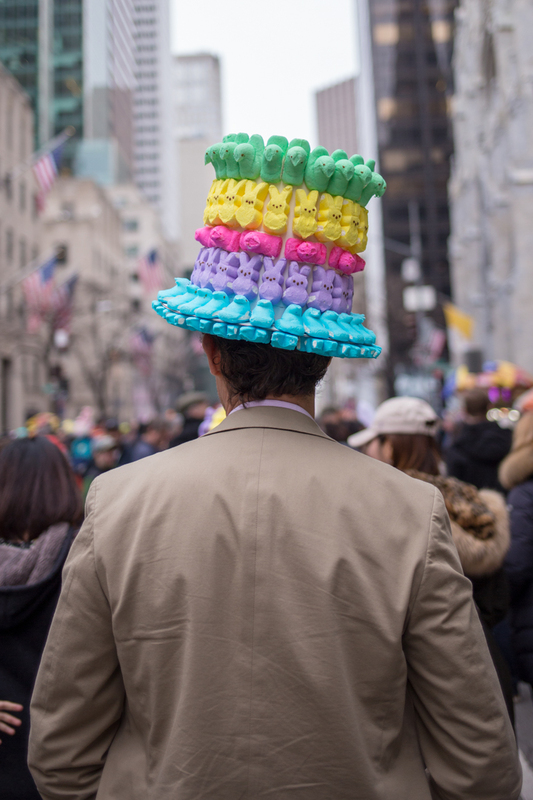 I do love Easter candy and creative costumes, however, so I've come to look forward to Easter Sunday much more since I discovered this parade. 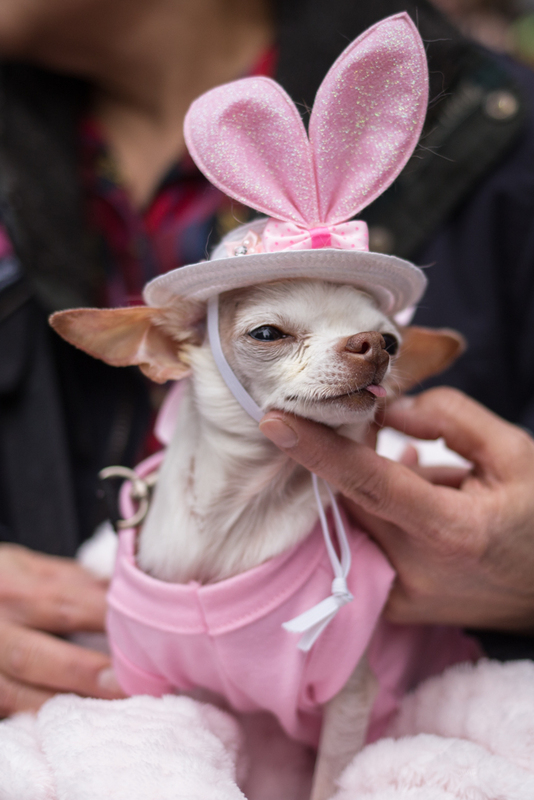 The best part of recurring events is recognizing people (and chihuahuas) year after year. 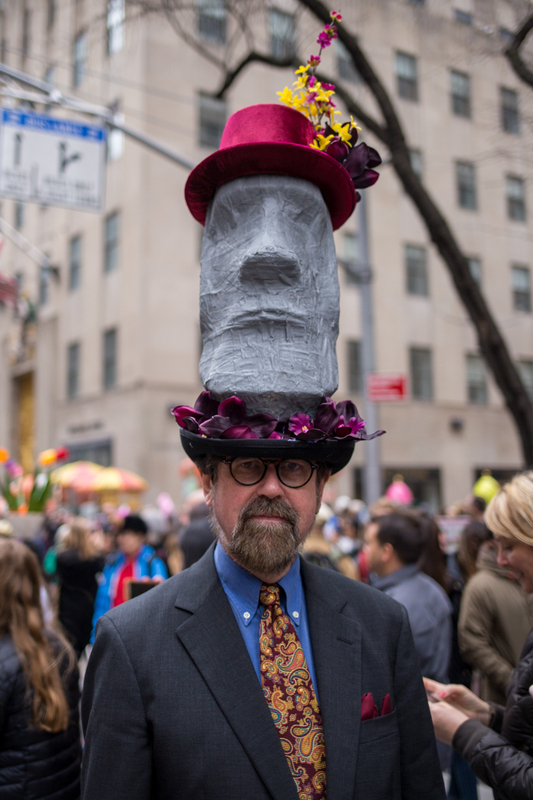 Of course there are also the New York City parade regulars—people dressed in costumes that don't have anything to do with the specific event, like the wizard with a dragon puppet that I think I have seen at every single New York event I have ever attended. 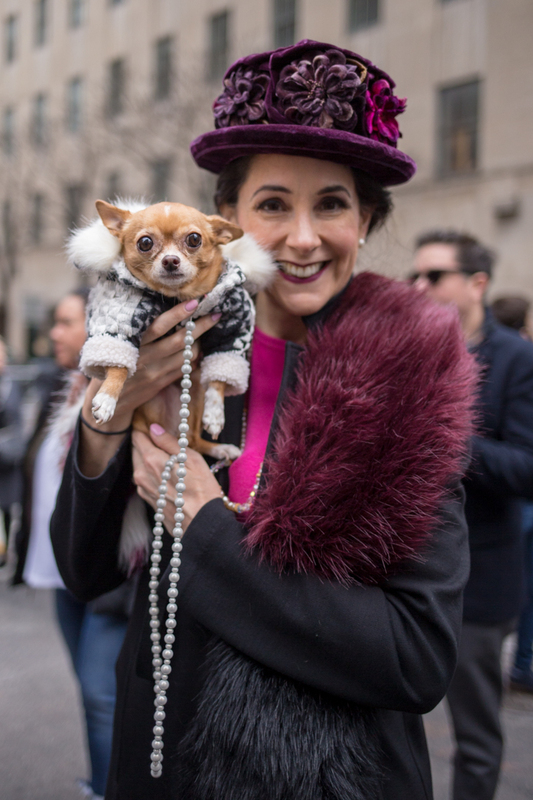 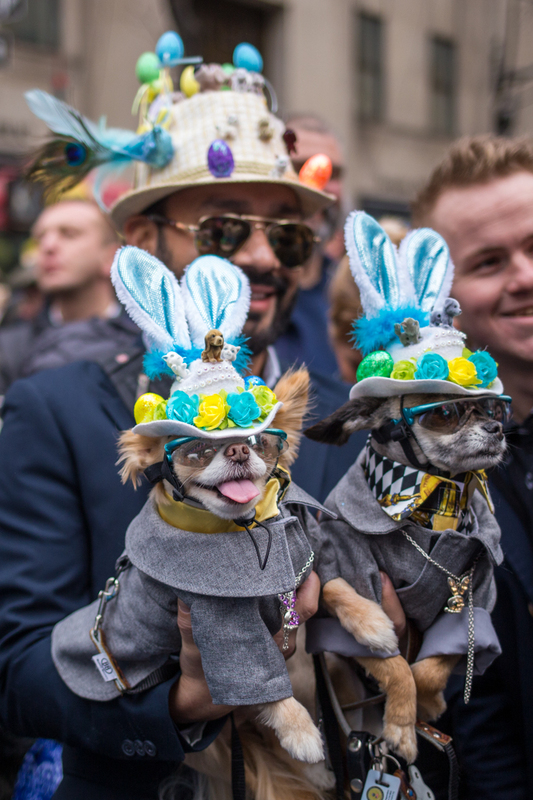 The best part of the Easter Parade is, of course, the dogs—with bonnets and sunglasses and bunny ears—and it's hard not to smile when you see a dog dressed up in its Easter best. 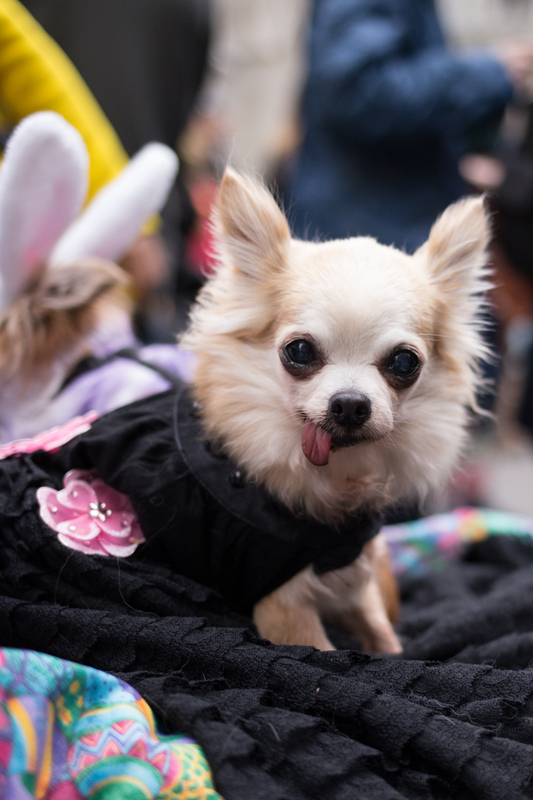 Some of the dogs seem frightened by the crowds, but others clearly relish the attention. 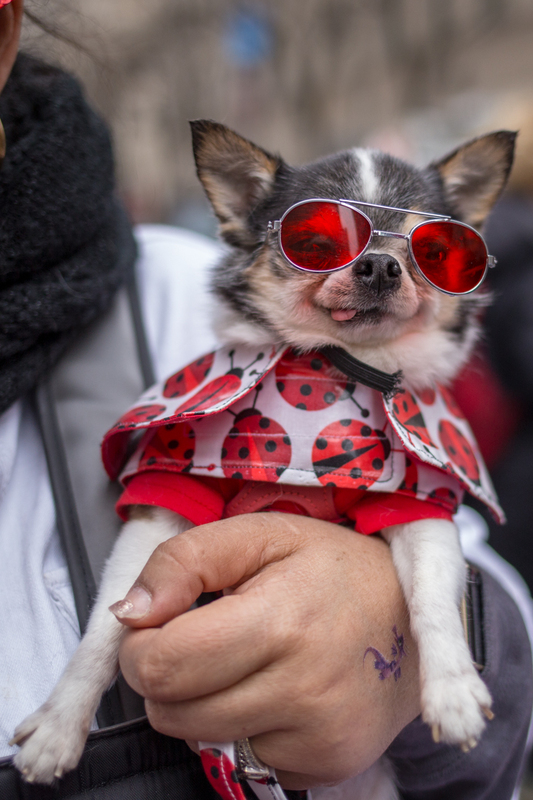 I don't think I saw as many dogs this year as I have in past parades (and I didn't see a single pug) but any day where I see a dog wearing sunglasses is a good day.